Call and obtain a quote today. The Meanwell LED IP67 LED driver has become a vital component for every extra low voltage decorative and ambient lighting installation. 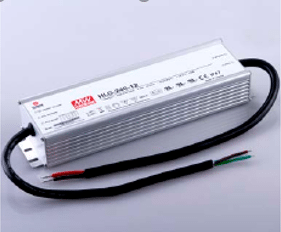 This robust, aluminium encased unit is rigidly constructed capable of delivering a stable supply of constant voltage under all conditions under the Australian sun. Limelight has used it for many light pole mounted installations where it has been permanently exposed to the elements. The 240W driver is Weatherproof IP67 Rated and is suitable for all indoor/outdoor applications. 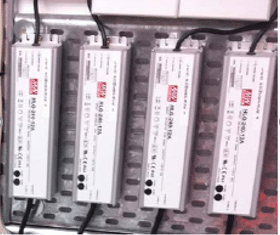 LED products require carefully selected control equipment and LED Drivers to ensure the installation is powered correctly and the product reaches its maximum life expectancy.